I LOVE THIS BAND. what a breath of fresh air back in the 80s and still sounds great. Their catalog has many more gems, PLAY MORE! Lawdy. This band really should have picked up their Most Obnoxious Band award and gone on home back to Atlanta. Still, I caught my head inadvertently nodding during this one. Thirteen since this has been played on RP. 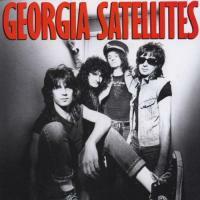 I like it, let's hear some more of the Georgia Satellites. Same dudes. Tied down with Battleship Chains is another good one. During that intro I expected, "my hunny my baby, keep your hands to yo-seff, no huggy, no kissy, till I get a weddin ring". :lol: Same doods? Hint of Stevie Ray V.
Yeah, really, it's just fun. Love this song, it has always been one of my favs. Love the guitar solo on this one. Once you get past the "change in my pocket..." song, they are/were a good band. To hear it here, I couldn't believe it! I had to double check. My mom must of sent my box of old albums to RP.